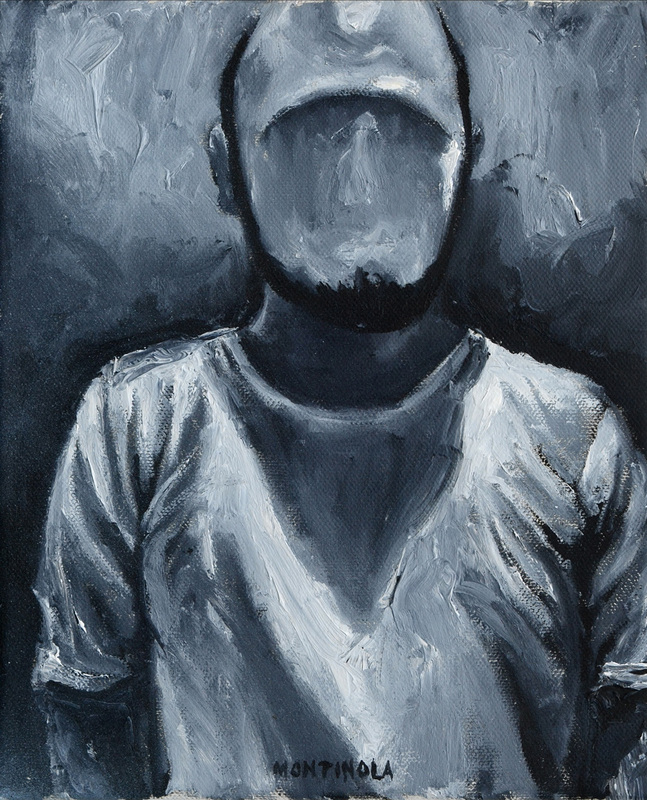 In his solo exhibition at the West Gallery entitled, Absent, Jason Montinola explores the repercussions of identity in painting, especially when identity is not found. 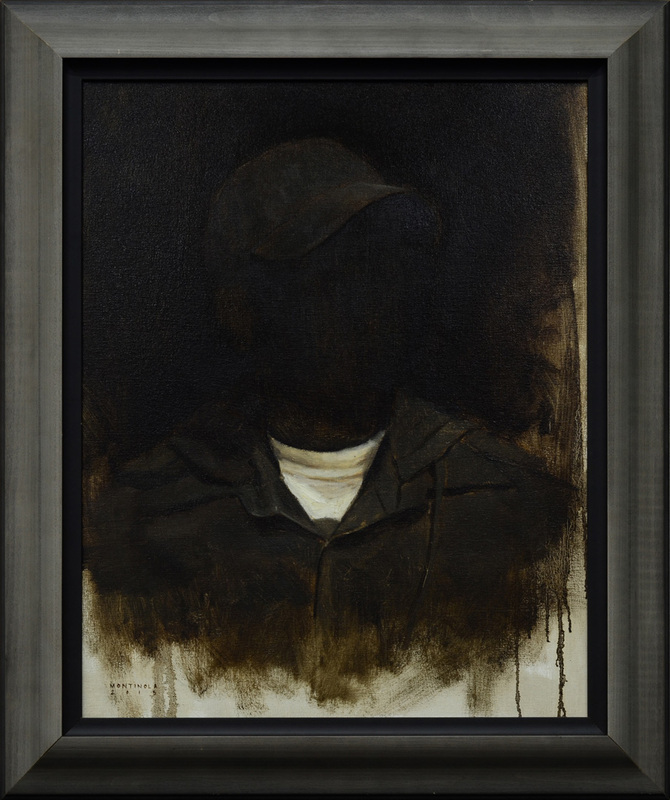 He paints a number of portraits whose faces are missing or obstructed, while claiming them as his own. 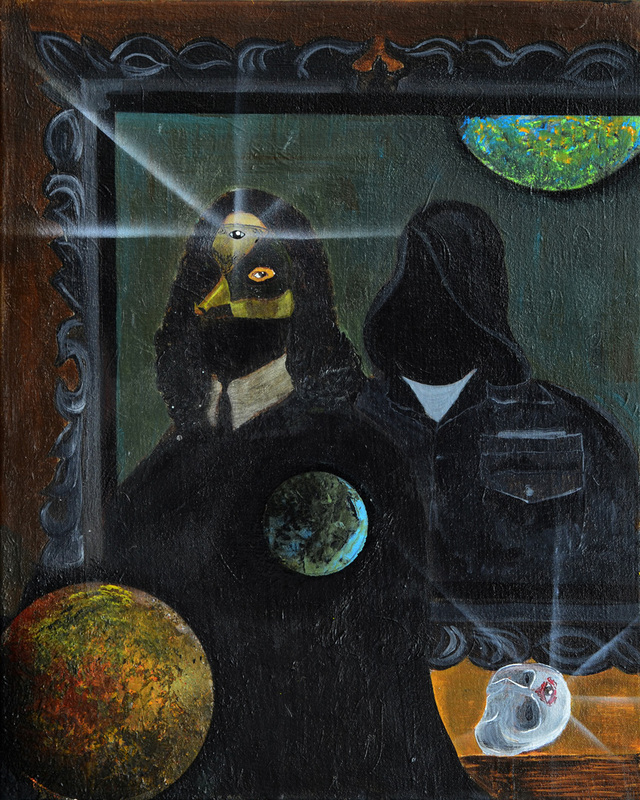 The absence in Jason Montinola’s paintings resides in his hooded figures—whose identities are replaced by shadows that fill the void normally occupied by a face. There are also masked figures, figures sporting caps and headdresses, and figures whose facial features are unconceived. Their anonymity is partially betrayed by the motif of their uniforms, an indication that we are looking at the same person. But are these the works by one and the same person? There are explicit differences in style and substance among the paintings, some as explicit as abstraction versus figuration. If it is a ploy conducted by the artist to emphasize absence as being more than tied to the non-existence of an identity, then it works effectively, as it gathers the idea of absence as the deficiency of a clear-cut presence by the artist himself: as an extinction of the auteur, and as the disappearance of any defining authorial voice that dictates the identity of the artworks themselves. 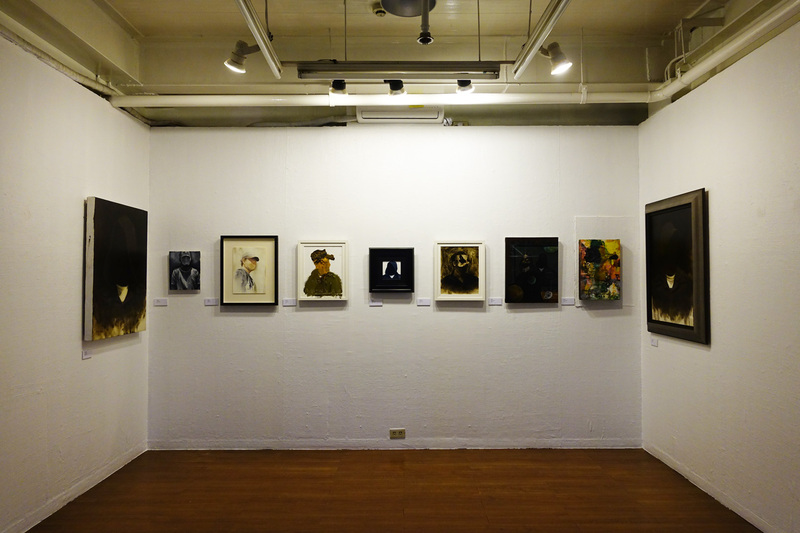 In Jason Montinola’s show, the idea of absence goes beyond the lack of presence. It is the imposition of someone else’s presence through the variations of styles and manner of painting. 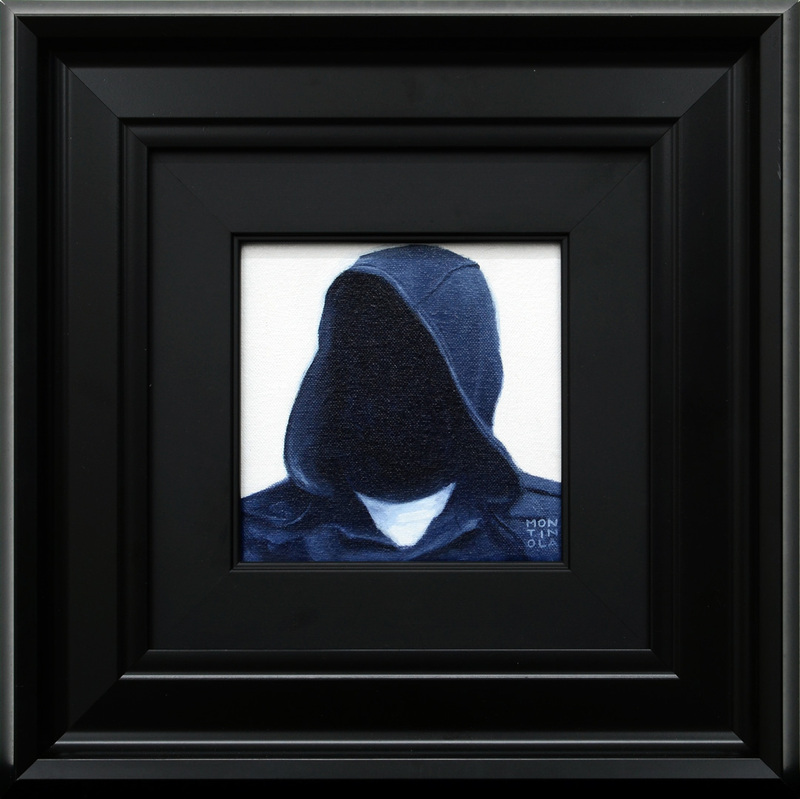 Absence here beckons as anonymity, and anonymity in this instance becomes a critique for identity. 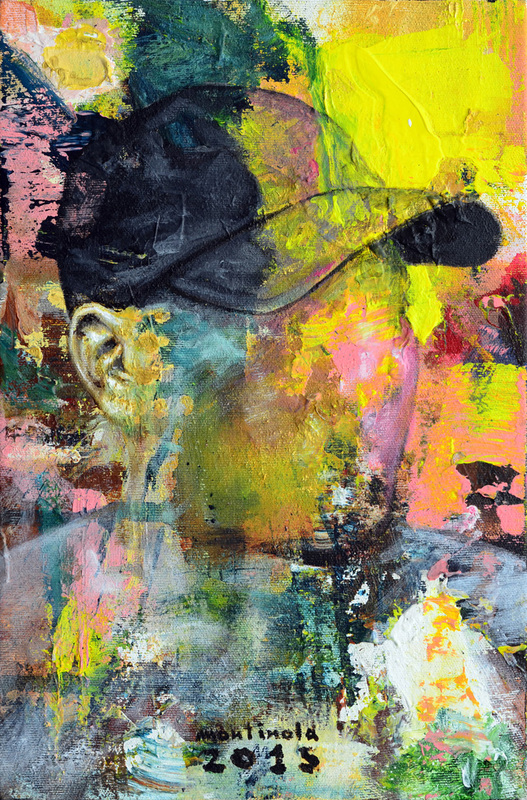 Is identity, both in paintings and in the manner of painting them, necessary? 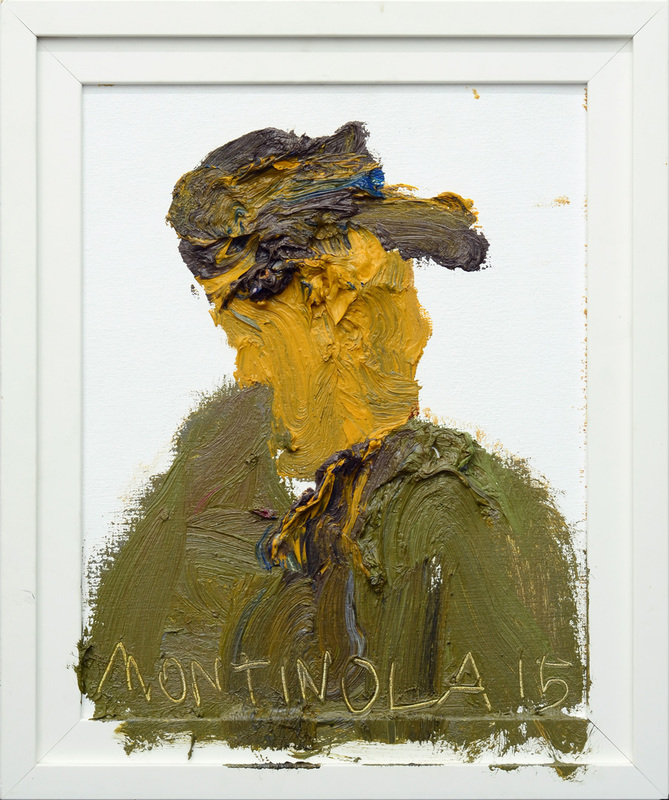 At any rate, Montinola’s paintings scream the presence of a void. 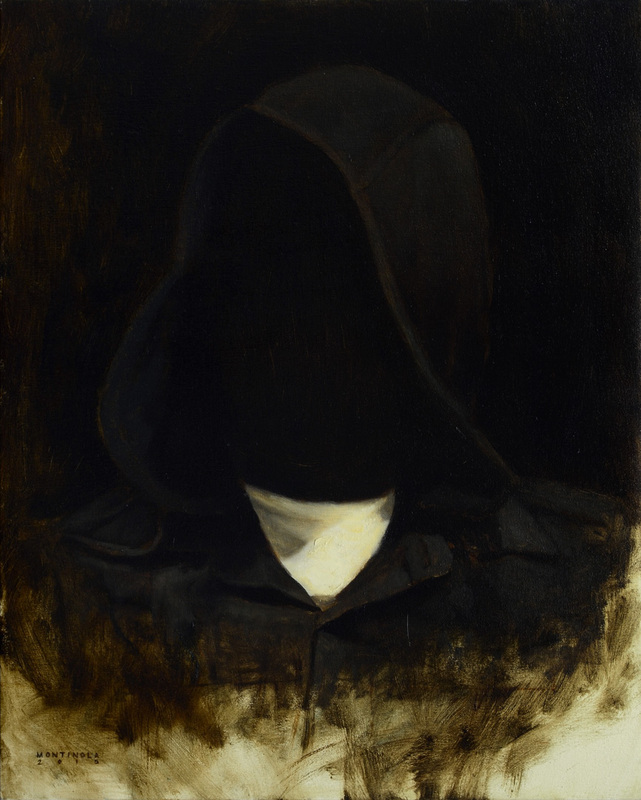 His works entitled as ‘Self-Portraits’ are constructed as empty compartments, of costumed entities void of face and flesh. We can sense the hollow field inside these uniformed figures—usually in grey hooded jackets and caps—and imagine a person who once filled this void. 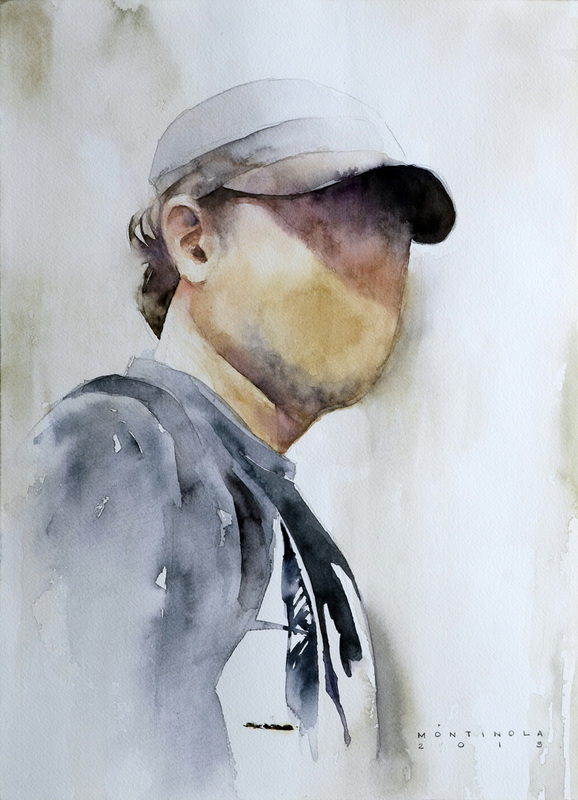 Through the shadows that occupy the flesh, they are become marked by a disappearance, by a sudden invisibility, and by a certain leaving, as if to indicate that the artist is never here anyway among us, and the work is as defiant as its maker for it to function as an object to represent him. Other works bear the same figure but are rendered in different forms. Some are depicted with more colors, some more abstract, others more light and impressionistic. Even the medium varies: oil, acrylic, and watercolor. 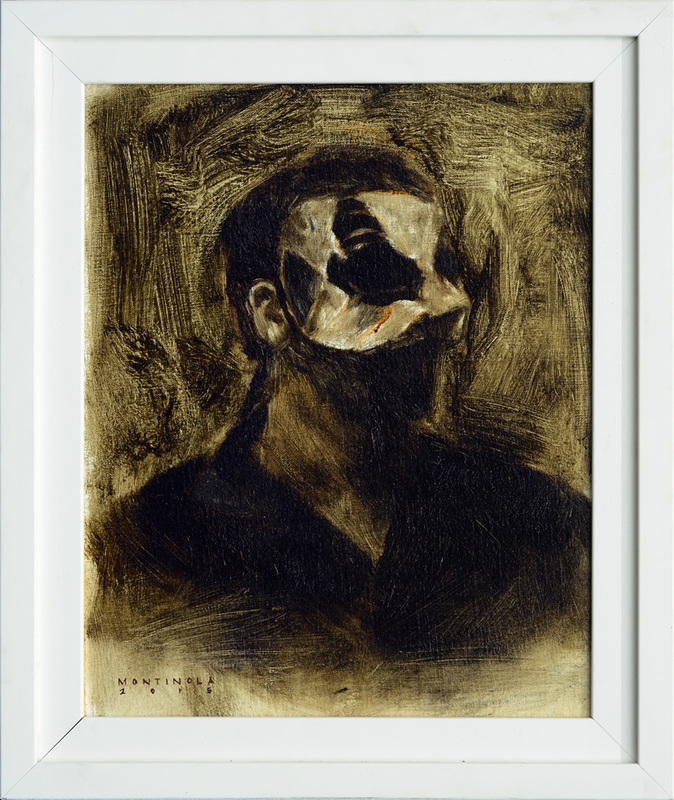 But in each of these paintings, the identity remains absent, the face stays unconceived. As a statement of contradictions, Jason Montinola’s show, Absent, reveals the paradox found between the painter and the portrait. Instead of affixing his identity and characteristics onto the timelessness of a painting, the self-portrait instead becomes a medium that reinforces his obscurity. And it also reveals some of the ironies in making art—that instead of being able to extract a certain feature and singularity of style within the works, we are only left with questions about the multiplicity of its styles. The show questions the power of the author over his works, and purposely tries to defy his presence as a statement against the long-standing thirst we possess in encapsulating artworks into their neat identities.